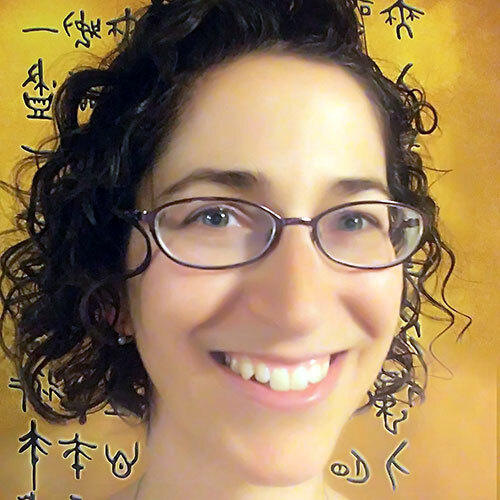 In our previous blog post, we introduced the ChunBuKyung, a 9,000-year-old Korean scripture that communicates oneness and harmony as the essence underlying everything. 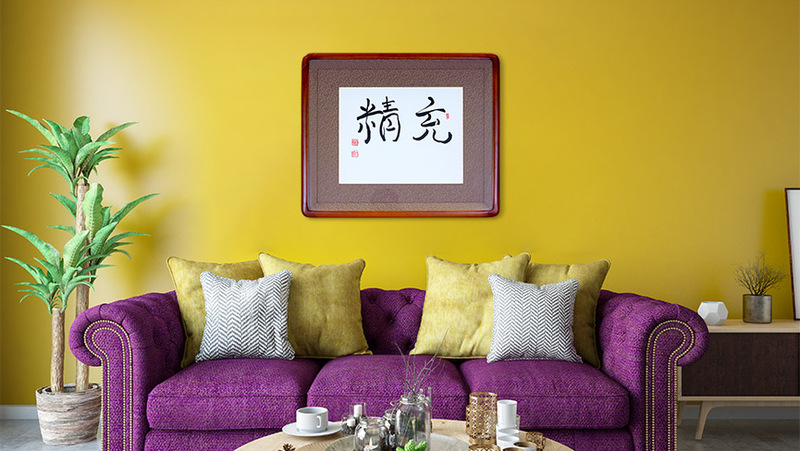 Each of its 81 characters contains the purest spiritual energy that can cleanse and brighten your energy, or the energy of any space. By connecting deeply with this energy, filling yourself with it, and embodying it, your thoughts and actions will change. You’ll become more positive with an open heart that values yourself and acts with love and compassion for others. 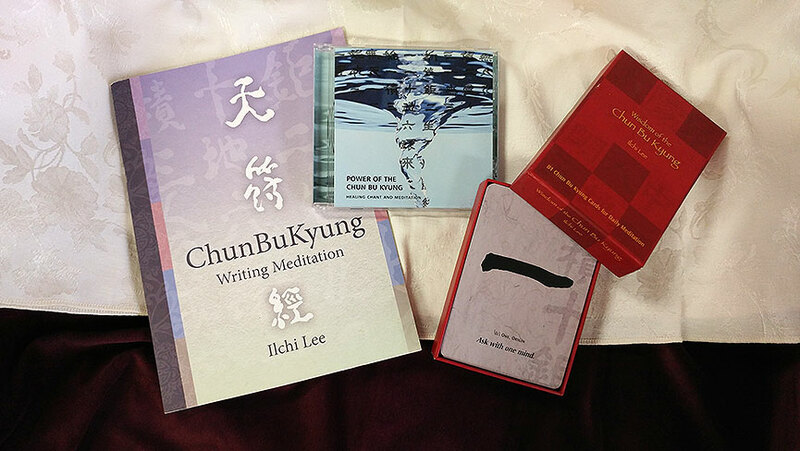 The ChunBuKyung Practice Kit has three effective products for submerging yourself in the ChunBuKyung’s energy: the Power of the ChunBuKyung CD, the ChunBuKyung Writing Meditation workbook, and the ChunBuKyung Wisdom Cards. The energy of the ChunBuKyung is contained within the written and vocal forms of its characters. 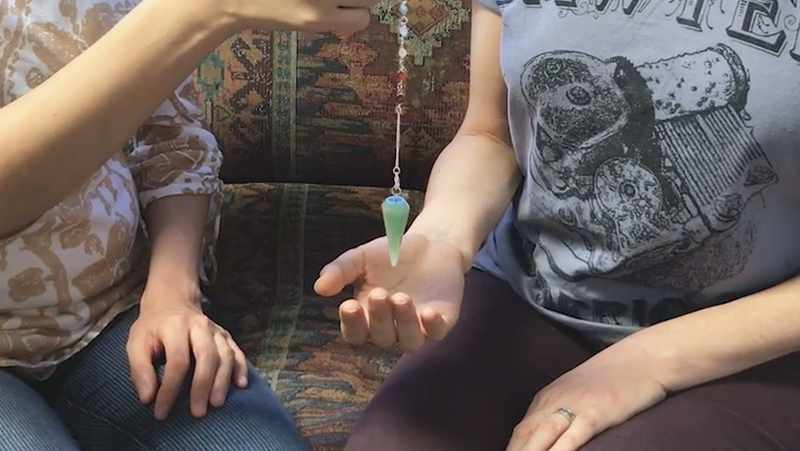 Power of the ChunBuKyung helps you harmonize with this energy through sound with four tracks of the ChunBuKyung chanted by Tao Masters in different ways. 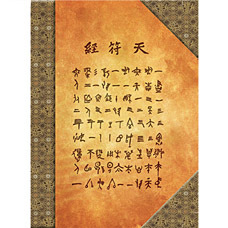 It also includes the ChunBuKyung as a song and tracks on the meaning and history of the ChunBuKyung. These tracks can provide basic knowledge of the ChunBuKyung, but to really know the ChunBuKyung, it’s best to feel it with your body and mind. Play any or all of the chants on repeat while sitting quietly and, at first, focus on the sound itself. Become absorbed in it. After a while, switch your focus to your body. 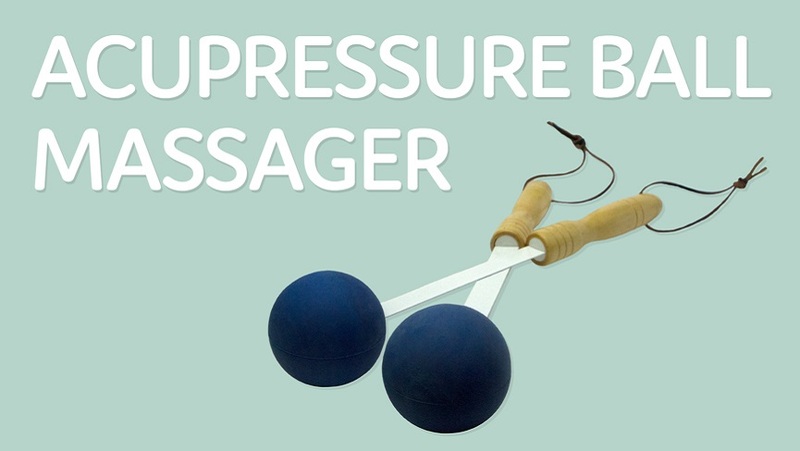 Notice the sensations in your body as the chanting loops. Over time, your awareness of your body may deepen and you may notice things in your body or areas of it you never have before. You don’t need to stay still as you listen. 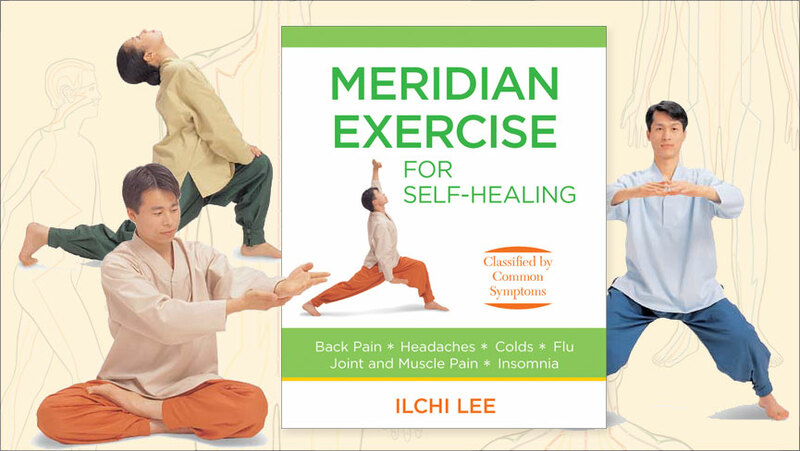 You can allow your body to move, letting your body, or the unconscious part of your brain, direct your movement. 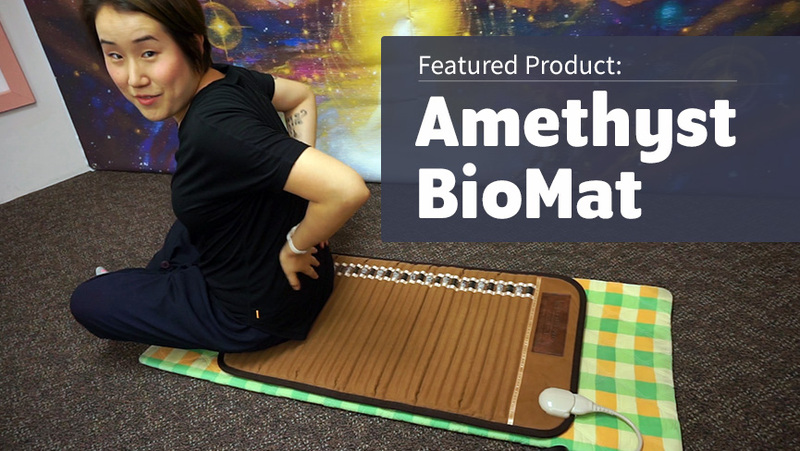 Just as you can change the energy of your body and mind with the sound of the ChunBuKyung, you can also change the energy of a space. Playing any of the ChunBuKyung chants in a room will purify the energy there. Try looping a track overnight or when you’re not home, or using it as a soothing background to your daily activities. The effects of the sounds of the ChunBuKyung are even stronger when you use your own voice to make them. 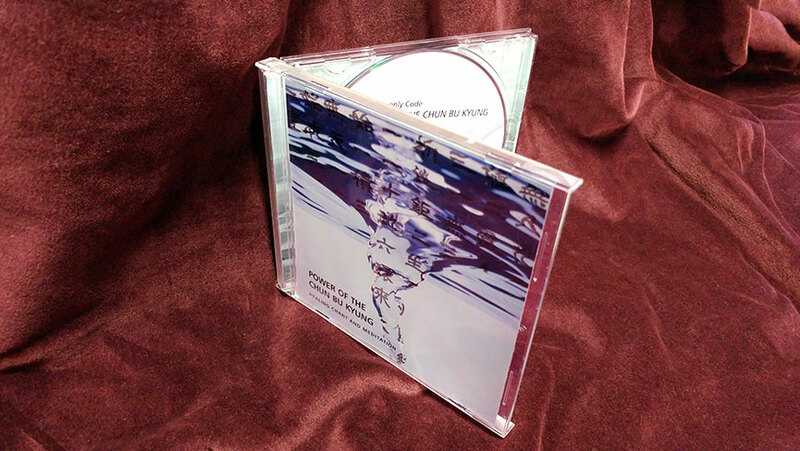 Chant the ChunBuKyung yourself, using the CD as a pronunciation guide. Like the different tracks, try chanting fast and slow, strongly and softly. Feel the difference in the way each affects you. Chanting the ChunBuKyung in your mind can give you the calm, insight and energy you need in challenging situations. This is especially helpful if you are overwhelmed with grief, sadness or other emotion. 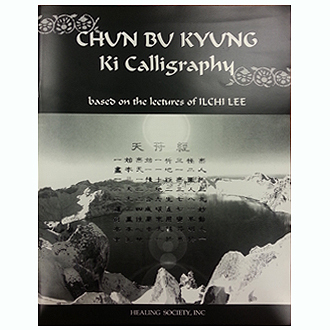 This 44-page workbook also gives you the meaning and history of the ChunBuKyung in addition to detailed instruction on making each of the 81 characters. 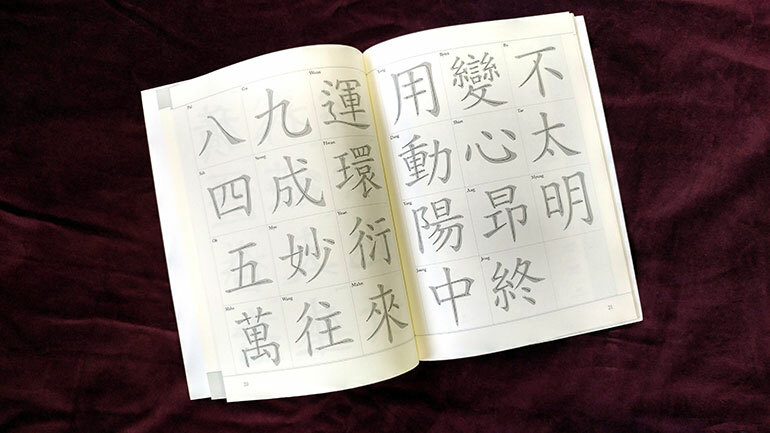 There are practice boxes for you to write the characters repeatedly, which you can do with a calligraphy brush and ink, brush pen, calligraphy pen, or ordinary pen or pencil. 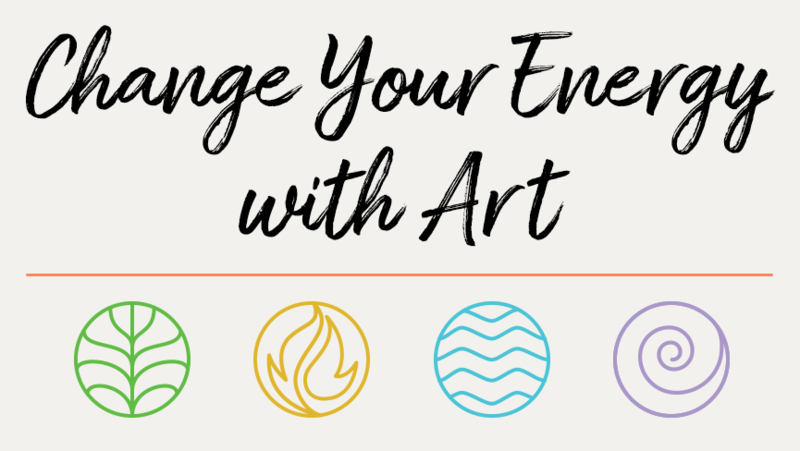 As you take in the sight of each character and repeat its strokes with your hands, you will take in and synergize with its energy. To get the most out of using the workbook, make writing the characters a meditation by calming and clearing your mind and relaxing your body beforehand. Try stretching and/or vibration exercises or simple breathing, for example. 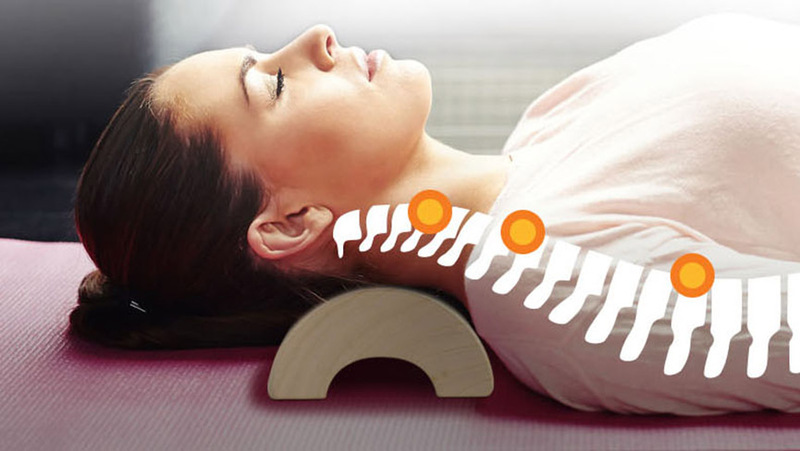 Keep your back straight as you write so that energy can flow through your body better. 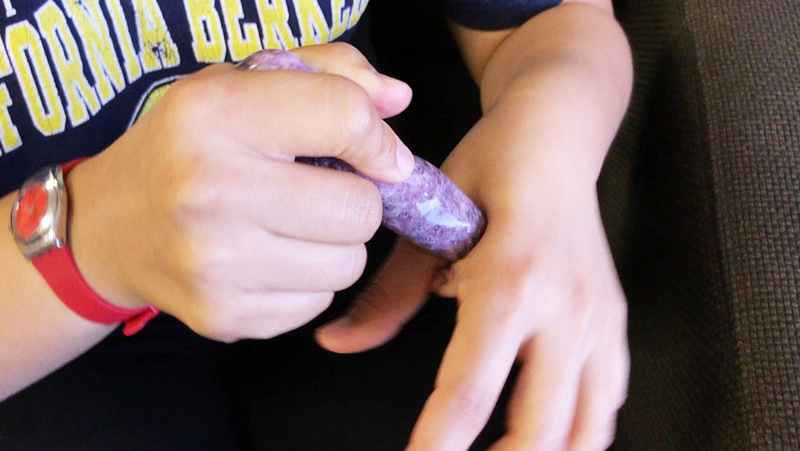 Focus on the movement of your hand to bring in the purifying energy of the ChunBuKyung with each stroke. With practice, your thoughts will calm further through the repetitive motions. The better you are able to maintain your focus on the characters, the better you will be able to absorb and resonate with its energy, and the more you will get out of it. 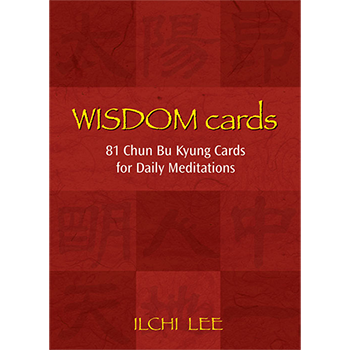 This deck of 81 cards has a ChunBuKyung character on each card, along with its meaning and a special message based on the character from Tao Master and CYE Founder Ilchi Lee, who has based much of his philosophy, exercises and programs on the ChunBuKyung. 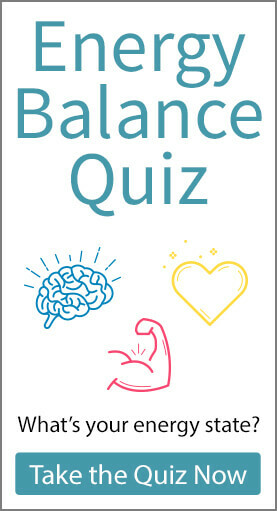 These messages can help you answer your questions, inspire you, or give you something to reflect on throughout the day. 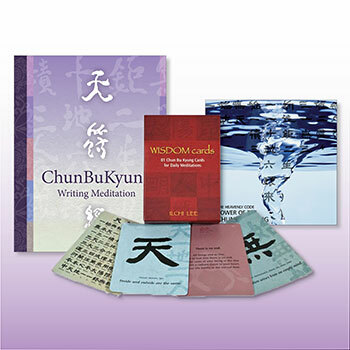 The deck also includes an additional instruction card and a card with the full ChunBuKyung written in Chinese characters and the romanization of the Korean pronunciation of the characters. To use the deck, shuffle it and pick one or more cards from the top or at random. Read the message(s) and reflect on how it could apply to your current circumstances. Pick one a day for an ongoing source of inspiration. Or, go deeper into the meaning of each card by chewing on it for a week. Read your weekly card every day and reflect on it throughout your day. See the principle behind it in the ordinary rhythms of your life. As you see it being revealed in your life, your understanding of it will deepen and it can inform the decisions you make. 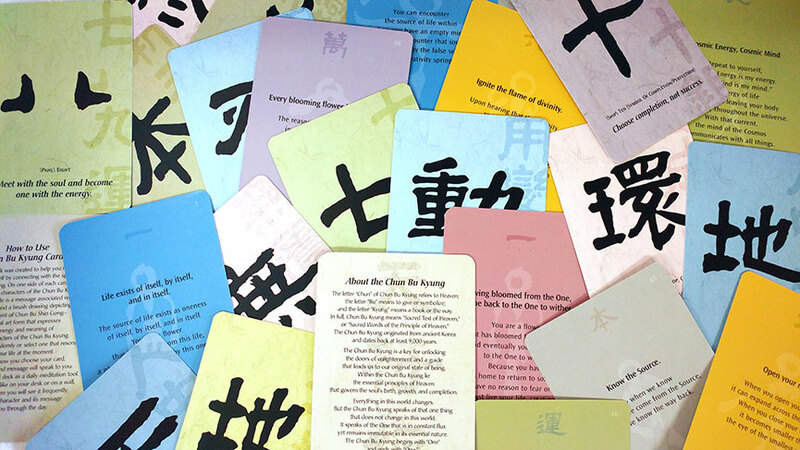 You can also choose a card for another person and share the energy of the ChunBuKyung with them through its special message. As you practice with the different forms of ChunBuKyung meditation these products enable you to do, the purest part of you that may be buried deep inside will burn bigger and brighter and shine for the world to see. With this light, a greater peace and harmony may emerge inside you, and your concentration and confidence may grow stronger. As the life you experience inside you changes, the life outside of you will change, and you can help others change their lives as well. Bringing out the love and peace in ourselves and others is what the ChunBuKyung suggests is the purpose of our lives. Visit our shop to order your own ChunBuKyung Practice Kit.